Newcastle really is an amazing place to live; sometimes I don’t think I am as grateful as I should be for living in such a beautiful city. Newcastle has so much to offer from the big metropolitan city life with the big brand shops and amazing restaurants to the little side street personal one-off shops and cafes. 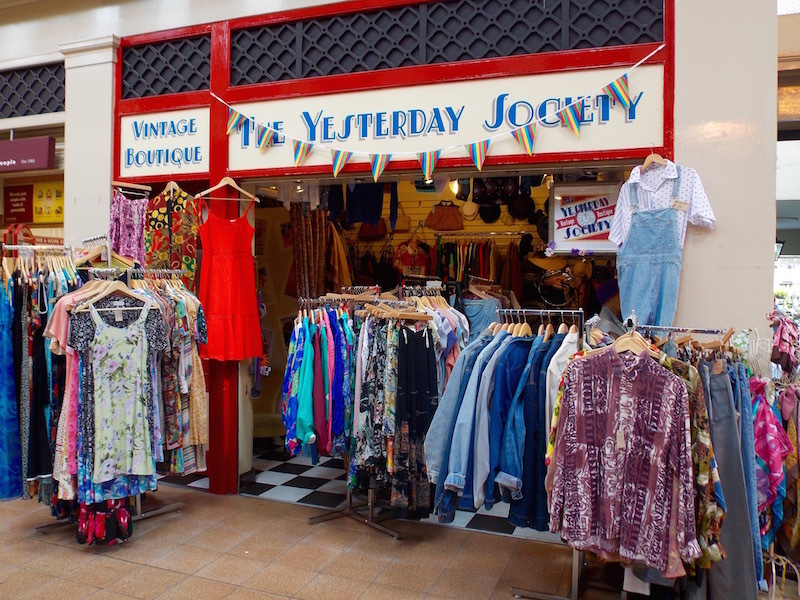 One place in Newcastle that I love is a vintage boutique called The Yesterday Society which is in the Grainger Market in the centre of town. Q. 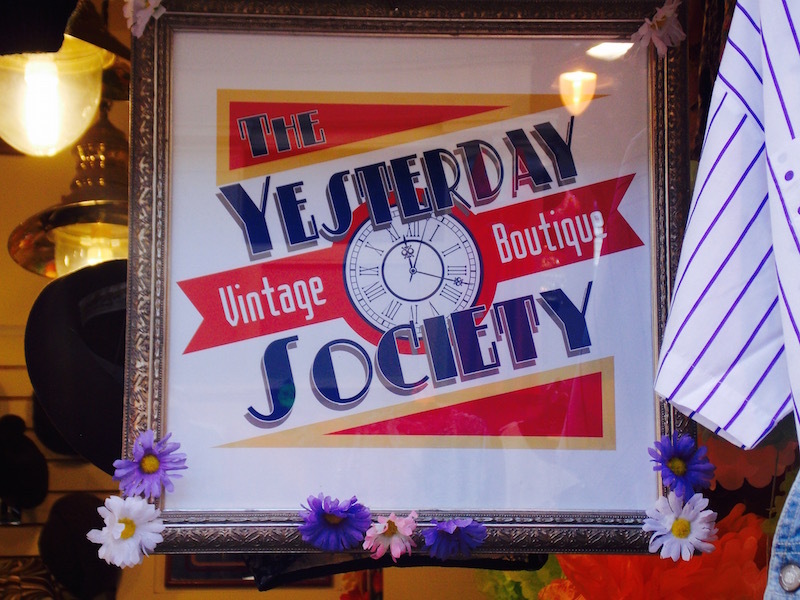 When did you open The Yesterday Society? A. 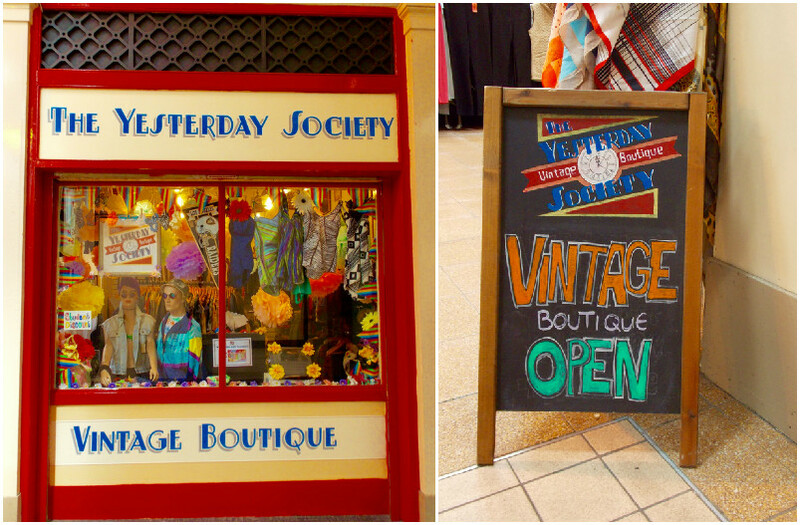 The Yesterday Society was opened on the 31st August 2013 by myself and my friend Rosie. We decided to open our own business while on shift together at the Tyneside Cinema and thought the Grainger Market with its history and location at the heart of Newcastle life would be a great place to do it. On our lunch break we popped into the market to ask if they had any units available and the first one we were shown (number 9) was perfect , even the lights were vintage. Inspired, we started looking into funding and started work on our business plan, from there on everything just fell into place and two months later we were open for business. It all happened so fast we didn't have a chance to worry about and just mucked in. Q. 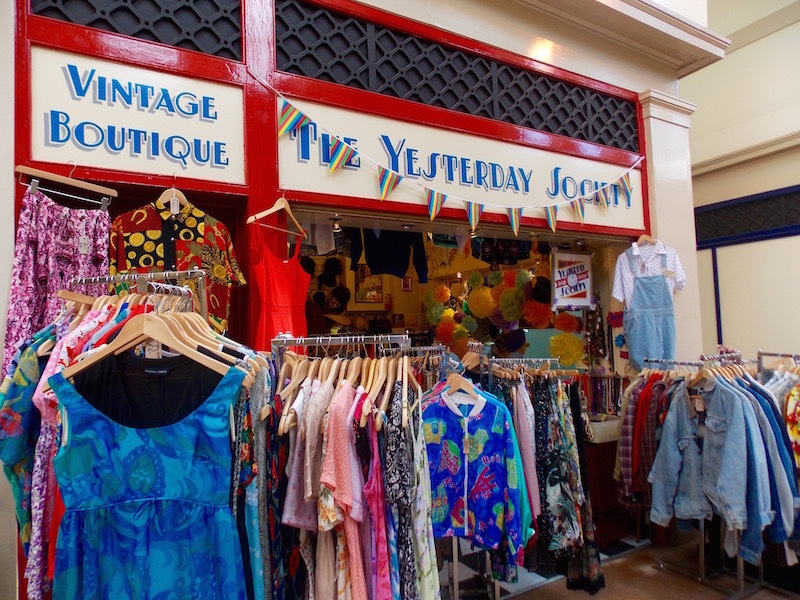 What made you want to open a vintage clothes shop? A. For as long as I can remember I have loved vintage fashion. I believe this began with my mam and the fact she used to take me around amazing shops such as Attica looking for unique and exciting pieces as a child. 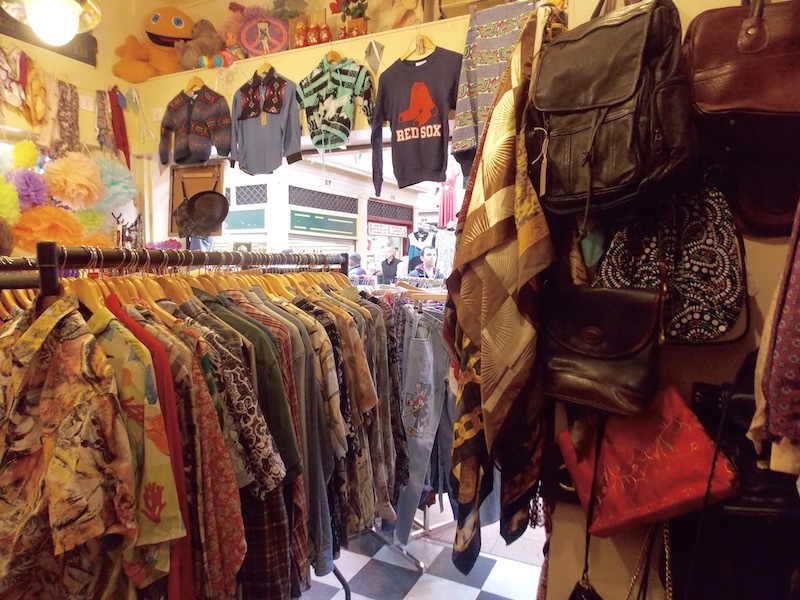 I remember being amazed by all of the fantastic clothes and home-wares available. I have always liked to look different and vintage is a great way to guarantee no one else will be wearing the same thing. I love imagining the history of each item, who owned it, where did they wear it, what occasion was it bought for etc. I also enjoy wearing authentic items that have lived through certain decades and been treasured enough to be looked after for so long. 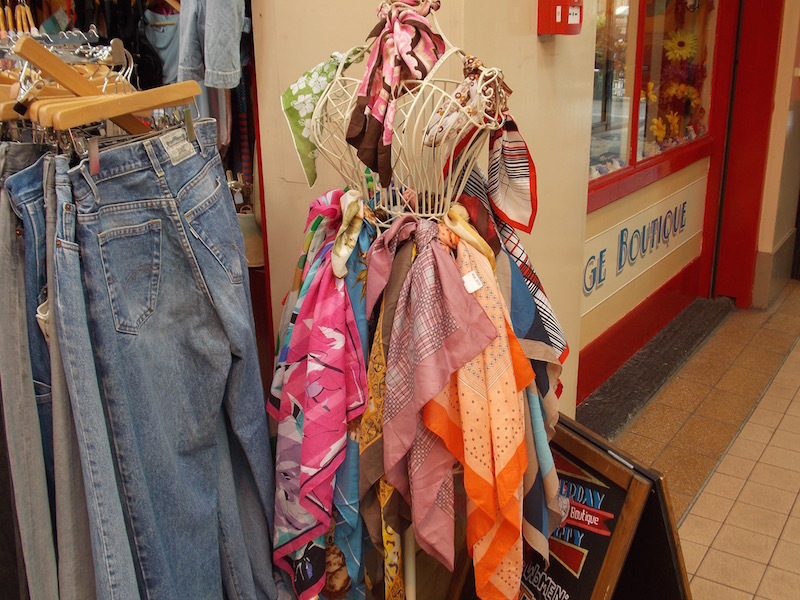 Finally, environmentally as wearing vintage is a great way of recycling and ensuring clothes from the past live on. My interest in vintage clothing was so great that whilst at Northumbria University studying Human Geography I wrote my dissertation on how people create identities through vintage clothing and how some people are so passionate about a certain area it can extend to all areas of their lives. 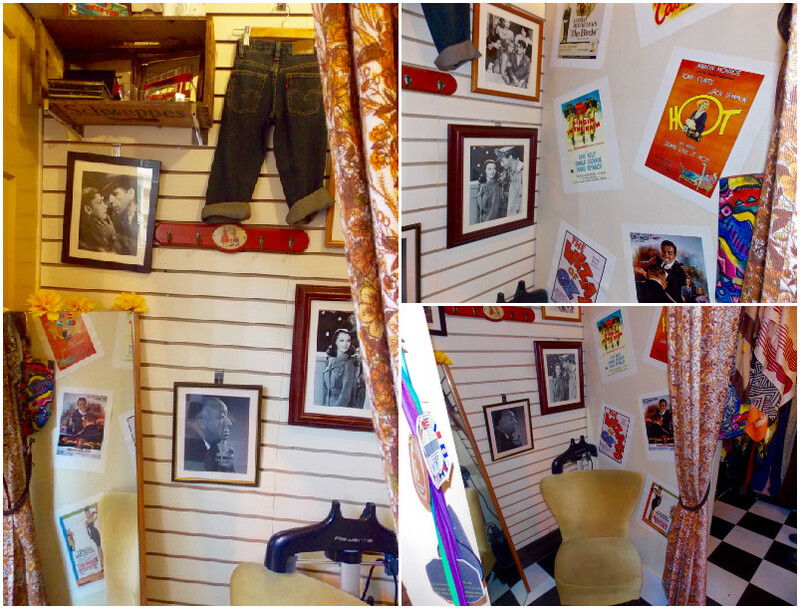 Owning my own business was always something that appealed as the idea of being my own boss was great and having such a passion for vintage fashion a vintage shop was the obvious choice. A. We have been open for a year and 9 months now and it's been great. At first we both kept part time roles on at the cinema which was great for security. Rosie has recently moved down to London so I have left the Tyneside to focus on The Yesterday Society full time. Q. How do you source your stock? A. We have quite a few suppliers we use to source our stock. 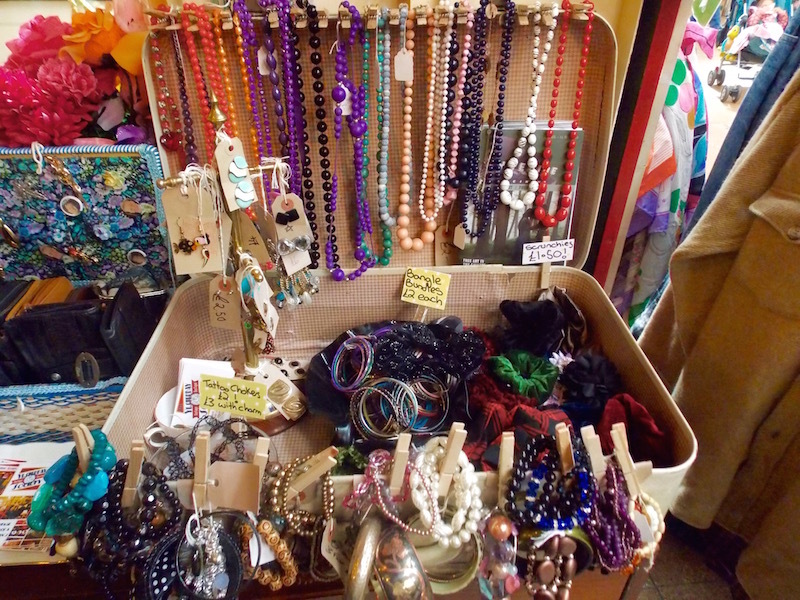 Our location in the market has also been beneficial as we often get talking to older folk who are having clear-outs and looking to sell vintage pieces, I love this as when chatting to previous owners you can get the real history of the items and memories it brings back. Due to the shop being only small we are focused on only having the best grade-A vintage items so handpick every piece and check it is the best quality and clean. "all killer no filler" as a customer put it the other day. Ensuring the clothes are clean is really important as I know how frustrating it can be to have to wash that new vintage find before you get to show it off. Q. What do you love most about running your own business? A. The freedom of it, I love being in control of my own fate and be able to spend each day doing what I love, listening to vinyl surrounded by vintage clothes. It is great to chat to customers who share my passion for vintage and some who just pop in to reminisce. Creatively I love decorating the window and doing themed windows , at Christmas I did my own small scale version of the legendary Fenwicks window (or at least I thought I did) and coming up with posts for social media. Q. What is the hardest part of running your own business? A. So far I would say the hardest part is not being able to keep everything that you love, I'm sure my boyfriend and strained wardrobe would vouch for this. Another part that was a slight worry was completing tax returns and book keeping. At first we were going to do this ourselves but found it a struggle so found a fab accountant who's a great help. Q. What is your favourite period in history for fashion? A. I love and wear a mix of styles from all eras but I would have to say my favourite period for fashion is the 1960s. I believe the 1960s witnessed young people dictating fashion for the first time . The result was more childlike and playful fashion and a period of great fashion innovation especially for women who were able to have increasing freedom with fashion. From the early 60s with Jackie Kennedys pill box hat, to Mary Quants ground breaking mini skirt and then to micro minis, then to the mod style and on to androgyny and barefoot hippy styles which drew inspiration from all over the world, I struggle to find anything from the period I don't love and find exciting. The 1960s were a period of great change which I believe led to an increased experimentation with fashion. Such as The psychedelic kaleidoscope of colours produced by Emilio Pucci whose experimentation pushed the boundaries of textile design, leading to exciting new geometric prints and clothing styles that enhanced, emphasised and flattered the female body. Another great designer of the time was Andre Courreges who pushed his futuristic ideas to the extreme, producing some of the most distinctive designs in his Space Age collection. The period also saw music and fashion link up with subcultures forming and their fashions being influenced by acts such as The Who, The Small Faces, Jimi Hendrix, the Rolling Stones and The Kinks . In short I love the music, freedom, experimentation and fashions of the 60s and often feel I was born in the wrong decade! Q. Who do you look up to for your style inspiration? A. Similar to my mixed choice of fashions there is a lot of people I look up to for style inspiration. Many are from the past especially my favourite period the 60s such as Twiggy, Briggite Bardot, Nancy Sinatra and Penelope Tree. However in the modern day I admire and gain inspiration from anybody who experiments and pushes the boundaries of fashion such as Paloma Faith, Lady Gaga and Ana Matronic from the Scissor Sisters. 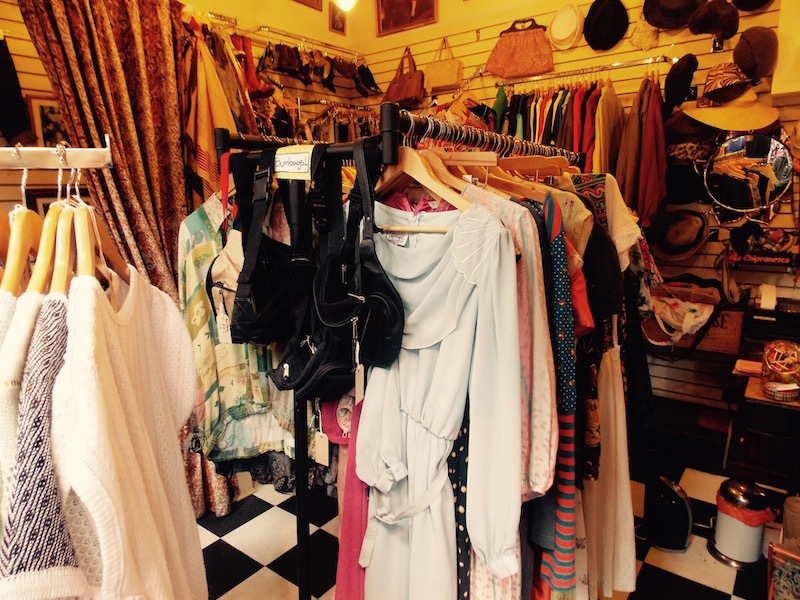 The boutique has some amazing pieces and is like a little Aladdin's cave of vintage clothes and accessories. I highly recommend having a look if you are local to Newcastle or visiting this wonderful city. What is your favourite period for fashion?